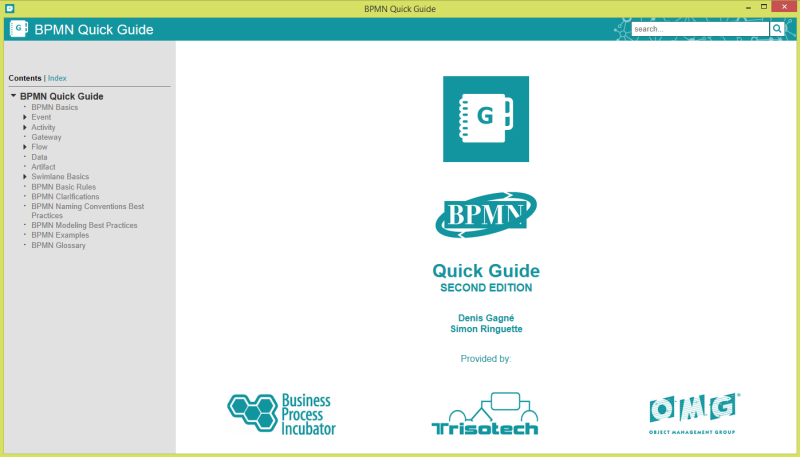 The BPMN 2.0 Quick Reference Guide provides quick access to a listing of all BPMN 2.0 visual elements. A concise description for each element is available. You can navigate the guide by clicking on shapes or by using the table of content. You can also search for a particular term. A BPMN 2.0 glossary based on the specification document is also available within the quick reference guide.